Revere Ware Parts :: Tips :: Why isn’t there a screw for the knob on my lid? Why isn’t there a screw for the knob on my lid? 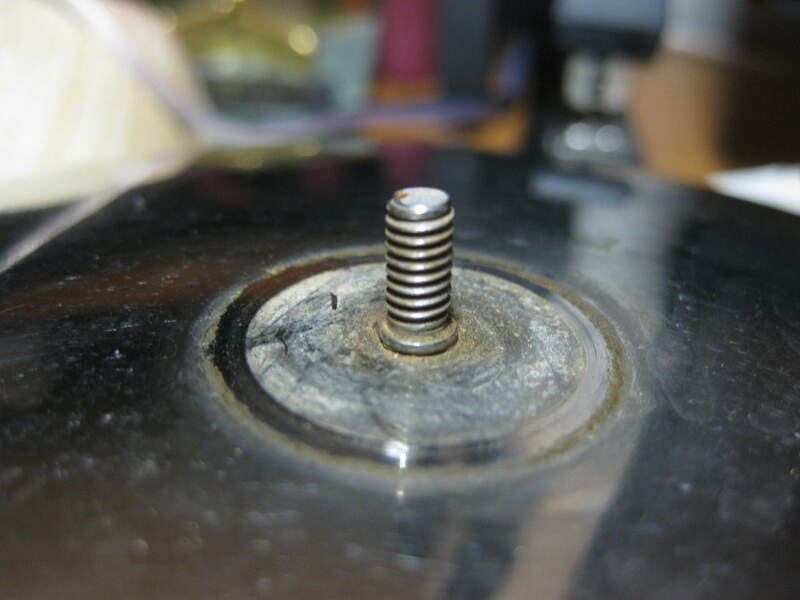 One of the most common questions we get from customers is related to their lid not having a screw, but what appears to be a stub of some kind. Over the years, as evidenced by the many differently constructed lid knobs we have come across, Revere Ware has used no threaded insert in the lid knobs (threads are part of the Bakelite) and threaded inserts of various types of metal, such as aluminum, brass, and possibly others. The stub can also appear black as there might be Bakelite attached to it. 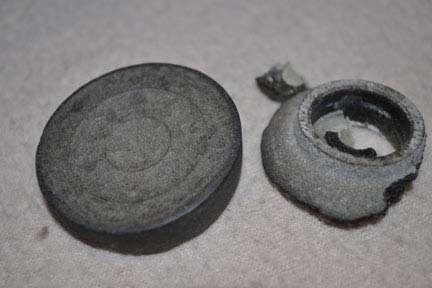 Some customers inherited a lid looking like this and others just assume that the knob is glued on to this stub and when they receive ours, with a threaded insert, think they’ve received the wrong kind of knob. If you grab the insert with pliers and unscrew it, it will usually come right off, revealing the screw. In some cases, perhaps one out of four, the rust bond will be too strong and the screw will break off. If that happens, here are instructions for attaching your knob with a separate screw. 7 Responses to Why isn’t there a screw for the knob on my lid? The handles are connected to the pots via spot welding. In spot welding, a high voltage is passed from the inside of the pot to the outside of the handle base and the heat from the electrical current joins the two pieces of metal. But they can fail as you have discovered. Luckily, there is a very healthy market for used Revere Ware on eBay. You can easily find a suitable replacement for almost any piece. It is possible to repair the spot weld if you take it to a machine shop or weld shop, but it probably won’t look as nice as it did and it is probably cheaper to pick up a replacement piece. thanks so much for this info. I received my knobs and thought there is no way this fits. 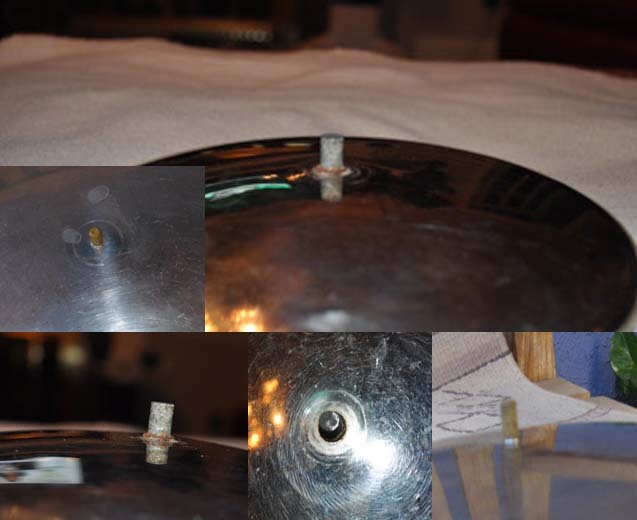 Great info…the screw on my pan was half there but had enough for the knob to be screwed on. Revere Ware is simply the best and it’s great to have this info. Appreciate your help ! Thanks, it worked. Revere is a good product run by a company that cares about its customers. Maybe that’s why they have such an excellent reputation and been in business for a number of years; Keep up the good work and thanks again for your prompt attention to this matter. Well, at some time, that was true. The Revere Ware brand is now owned by World Kitchen LLC (who also owns Corning Ware and Pyrex) and generally produces lower quality products, no support for older products, and doesn’t sell any replacement parts. We are a separate business that has taken up the slack in supplying replacement parts that are no longer supplied by them. I have a ReverWare 8inch saucepan lid that the handle is missing. I see no evidence of a screw penetrating the lid. Can I purchase a handle that would be adhesed to the top? Or do I need to drill a hole and replace it with a screw retained handle? No, there is no such thing as that. You would need to drill a hole and use a separate screw to hold the knob to the lid. You can still use one of our knobs, you would just need a screw that works with it, an 8-32 machine screw beween .25 and .35 inches in length.